q2vkpt. about. play. media. tech. faq. contact. 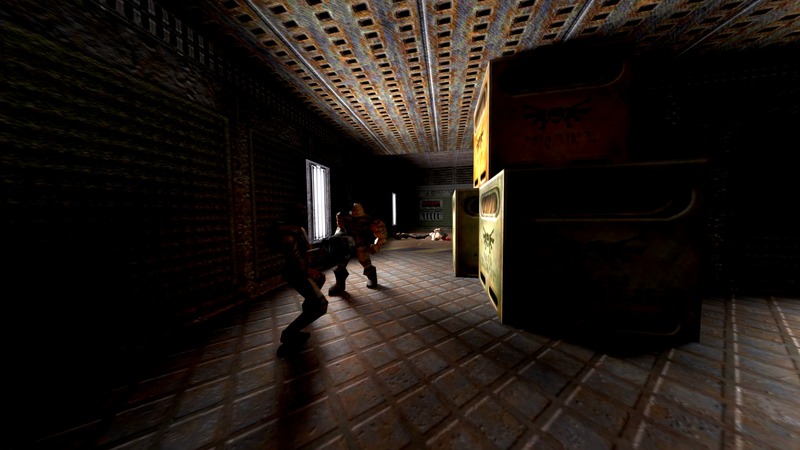 Q2VKPT is the first playable game that is entirely raytraced and efficiently simulates fully dynamic lighting in real-time, with the same modern techniques as used in the movie industry (see Disney's practical guide to path tracing). The recent release of GPUs with raytracing capabilities has opened up entirely new possibilities for the future of game graphics, yet making good use of raytracing is non-trivial. 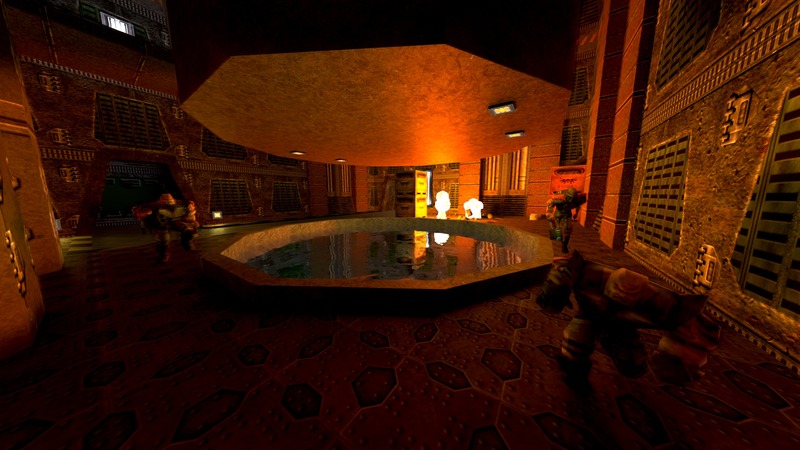 While some games have started to explore improvements in shadow and reflection rendering, Q2VKPT is the first project to implement an efficient unified solution for all types of light transport: direct, scattered, and reflected light (see media). This kind of unification has led to a dramatic increase in both flexibility and productivity in the movie industry. The chance to have the same development in games promises a similar increase in visual fidelity and realism for game graphics in the coming years. The project is released as open source on GitHub, integrating our Vulkan path tracer into the Q2PRO client. 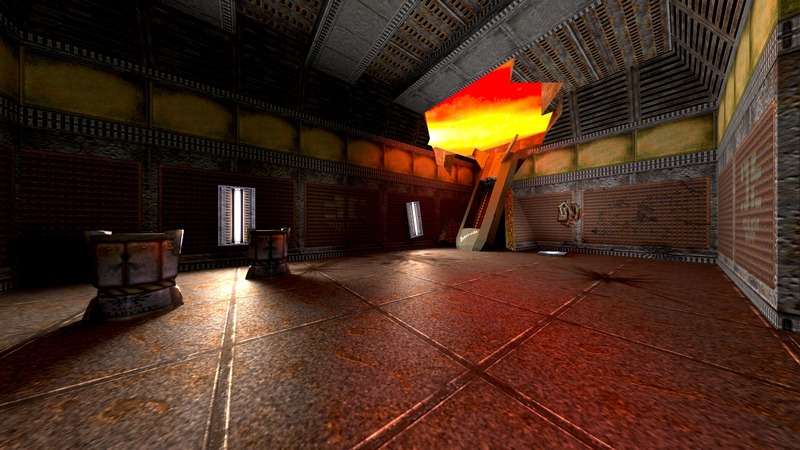 The project was spawned by the need for fast-paced test content in computer graphics research, and was motivated by the first intriguing results of an experimental path tracing renderer in 2016. Fully dynamic global illumination using path tracing, with raytraced shadows, glossy reflections and one bounce of indirect lighting. Q2VKPT is implemented in the Vulkan API to be able to use the new hardware-accelerated raytracing features that were made available earlier this year. Thanks to these, the game can actually come close to 60 FPS (2560x1440, RTX2080Ti), while being fully raytraced and dynamically shaded with realistic global lighting models in real-time. 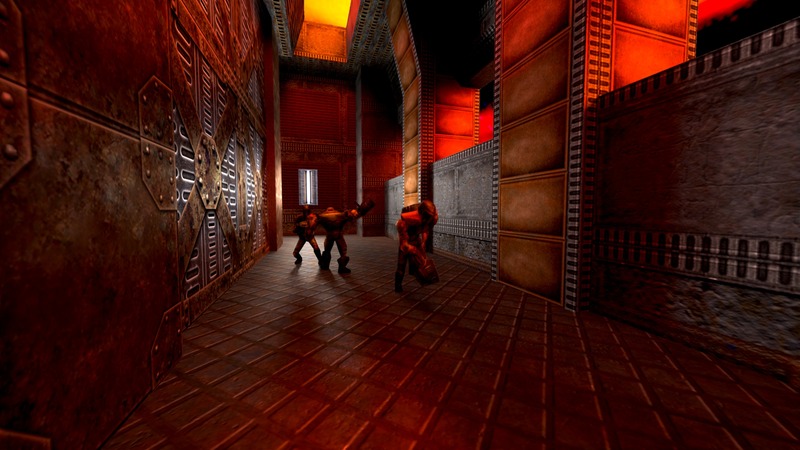 Using path tracing for fully dynamic lighting allows for a lot more detail in the shading of game scenes, naturally producing complex interplay of hard and soft shadows, glossy material appearances and perspectively correct reflections everywhere. Moreover, light can naturally flow anywhere, tying the scene together in the ways we would expect from the real world. 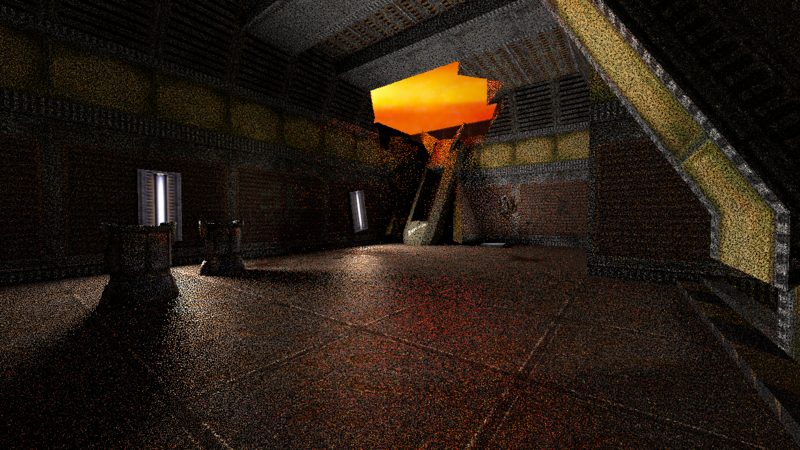 Traditional approaches like precomputed lighting or coarse real-time raster approximations could never interactively reach this detail at a comparable resolution, since full storage of this lighting information would exceed any memory bounds. 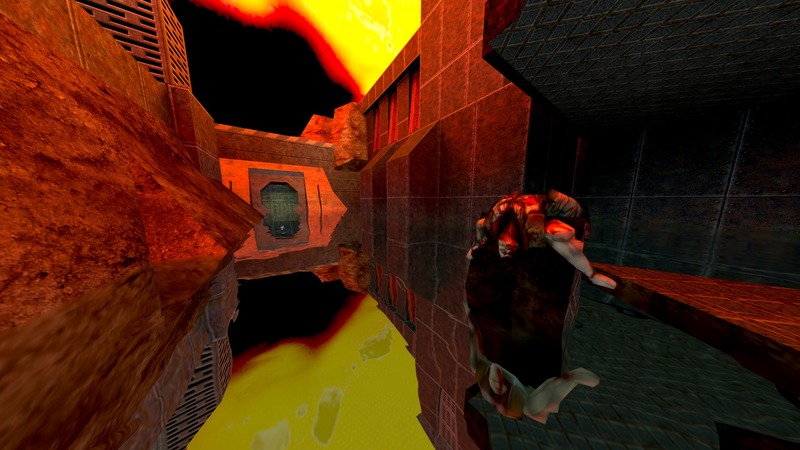 Q2VKPT makes use of a variety of techniques to adapt computationally expensive methods previously only used in the movie industry to games. At the core is an adaptive temporal filter that intelligently re-uses the results of previous frames (a former research project of Christoph's). On top of the nowadays well-established temporal anti-aliasing, this filter extends the tracking of changes over time from mere image space to the high-dimensional space of light transport paths. Path change tracking is necessary because path tracing is a randomized algorithm, which is both its strength and its weakness: While it can generically handle all kinds of light transport, results may need a long time to become reliable, too long for one frame in a real-time game. A mere image-space approach like temporal anti-aliasing cannot deal with this amount of uncertainty. Why does the game crash for me? Why are there no particles? I want my flies and rail gun sparks back! Games already look real today! Why would they use path tracing? How can I use Q2VKPT as a benchmarking tool? Open the console using the "~" key. 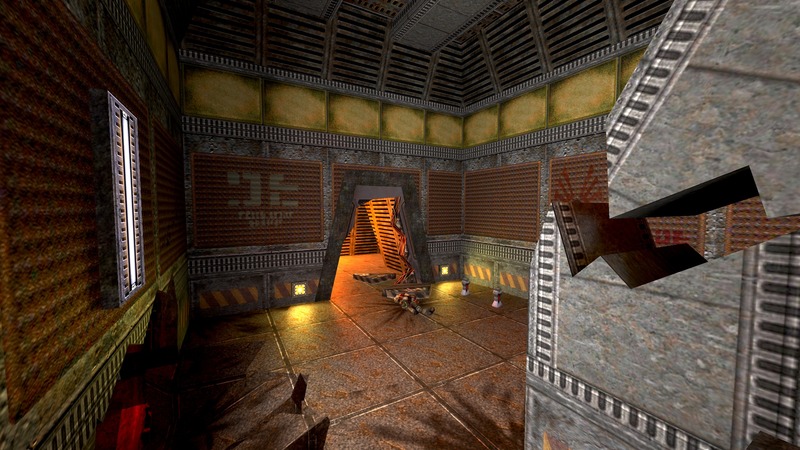 Depending whether you are using the demo or the full version of Quake 2 you can use "timedemo 1; demo q2demo1" or "timedemo 1; demo demo1" respectively. You can enable the inbuilt profiler using "vkpt_profiler 1" to get details about the GPU timings for the individual rendering steps. The recent release of GPUs with raytracing capabilities has opened up entirely new possibilities for the future of game graphics, yet making good use of raytracing is non-trivial. The purpose of this project is to find out exactly what's still missing for a clearer pathway into a raytraced future of game graphics. 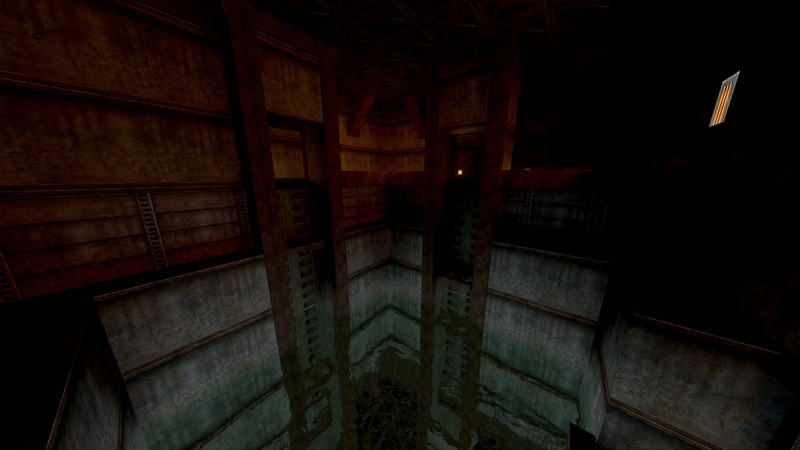 While some problems have already been addressed by academic research, many open real-world problems slip unnoticed until one actually tries to implement a full game renderer. We plan to look into some of these issues, like better light sampling, better filtering, and more consistent renderer software architecture in the future. Good solutions for the new, different issues of raytracing- and path tracing-based renderers will be necessary for this change to happen on a broad scale. Will path tracing finally solve all graphics problems? 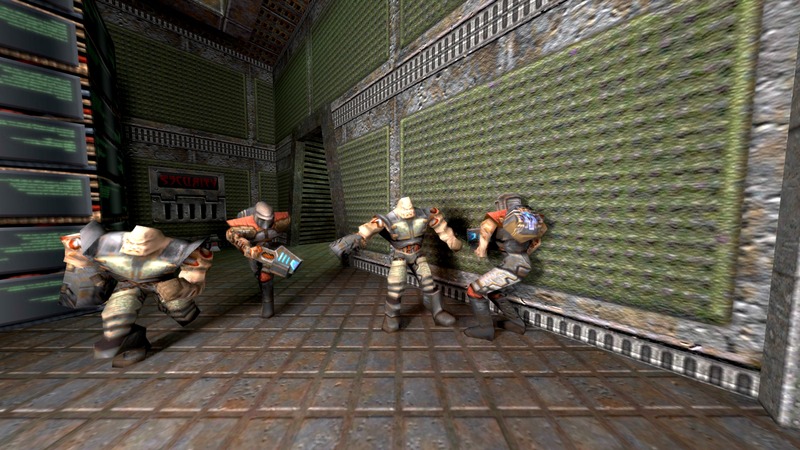 Path tracing and similar methods elegantly solve many hard problems of game graphics. However, their randomized nature also introduces a whole new set of challenges in order to be able to produce clean (noise-free) high-quality images. The filtering method in the Q2VKPT prototype is a first step towards robust unified methods that allow a fully unified, brute-force path tracing approach to rendering. We expect and hope to see more research into that direction in the next months and years! 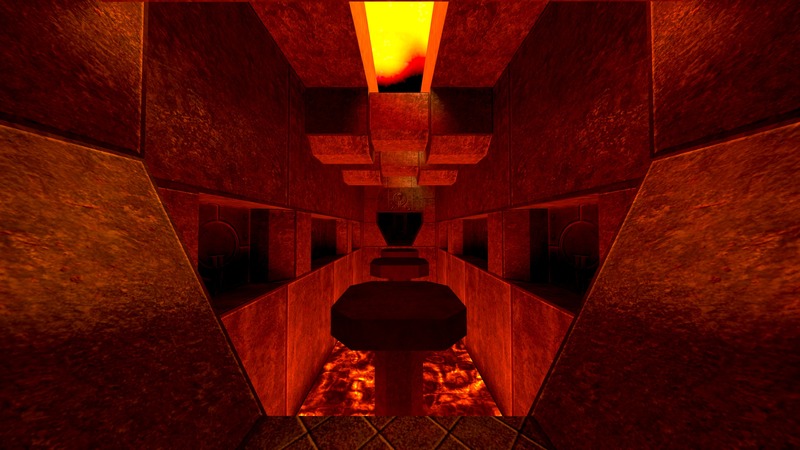 Does Q2VKPT use the original light maps? 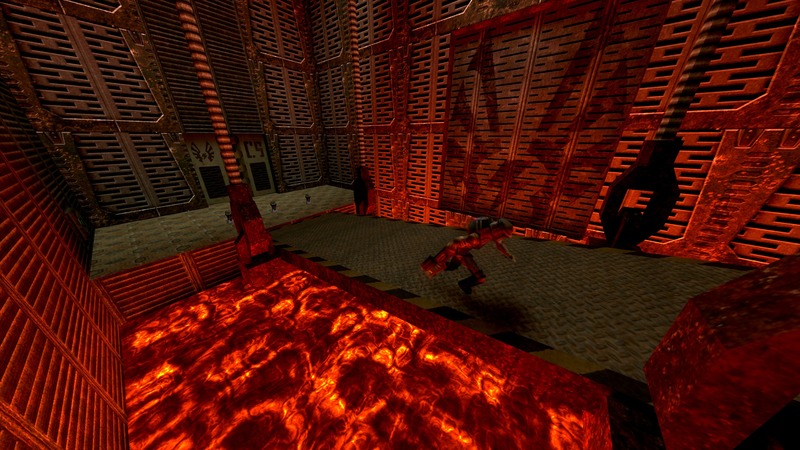 The original Quake 2 engine uses precomputed light maps that contain soft shadows and diffuse indirect illumination. In contrast, Q2VKPT entirely replaces the static illumination using a fully dynamic simulation that unifies both the static and dynamic light sources. How many rays does Q2VKPT cast per pixel? The number of rays that are cast are dependent on the first visible surface. For opaque surfaces Q2VKPT uses one ray each to find the direct and indirectly visible surface. Additionally, for both surfaces Q2VKPT casts one ray each towards randomly chosen light sources. Therefore Q2VKPT will cast at least 4 rays for each pixel. Does Q2VKPT rely on rasterization? Traditionally, games use the rasterizer to find the surfaces visible from the camera. 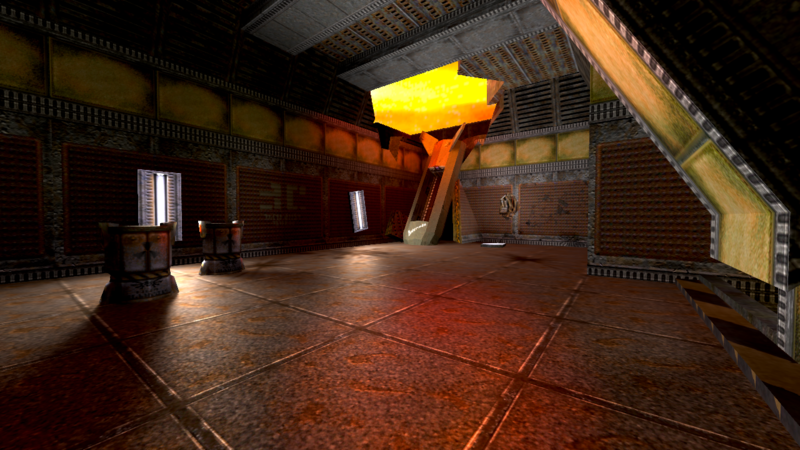 Q2VKPT is fully raytraced and does not rely on the rasterizer (except for the 2D user interface elements).